Latin America’s biggest economy could use some competent fiscal stewardship. Geraldo Alckmin, a onetime anesthesiologist running in October’s presidential election, fits the bill. Many Brazilians, though, would prefer riskier choices: jailed leftist Lula, or a Trumpian demagogue. A man checks his mobile phone as a woman riding a bike passes next to a big Brazilian flag in Sao Paulo, Brazil June 28, 2018. 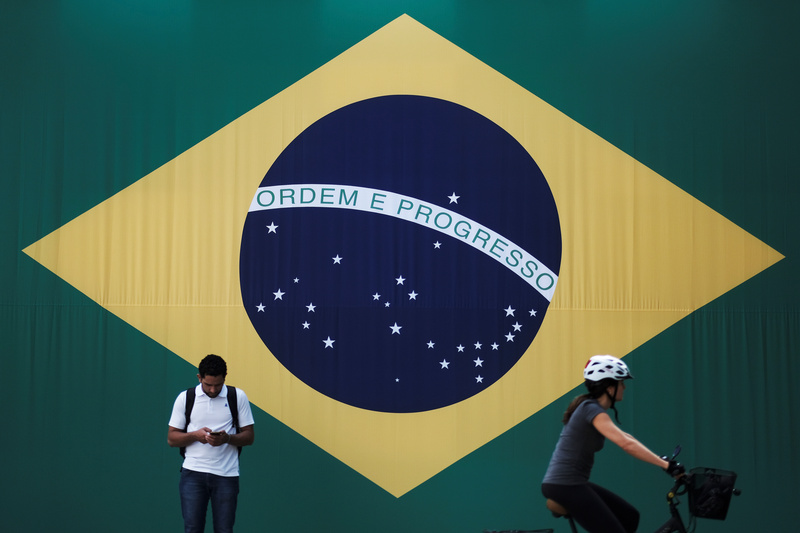 Brazil holds presidential and legislative elections on Oct. 7, with a presidential runoff on Oct. 28. The leftist Workers’ Party registered jailed former President Luiz Inacio Lula da Silva on Aug. 15 as its presidential candidate. Lula, as he is widely known, leads opinion polls but will almost certainly not be allowed to run because of a corruption conviction, for which he is serving a 12-year sentence. He also faces other charges regarding a massive kickback scheme that prosecutors say operated during his 2003-2010 presidency. If electoral authorities bar Lula, he is widely expected to endorse former Sao Paulo Mayor Fernando Haddad as the Workers’ Party candidate. In polls that exclude Lula, far-right candidate Jair Bolsonaro is the front-runner. If Bolsonaro’s lead holds, he is most likely to face either Haddad, centrist Geraldo Alckmin, a pro-business ex-governor of Sao Paulo state, or former Environment Minister Marina Silva in a two-person second-round vote.